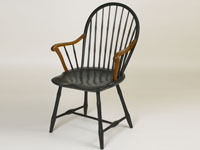 Rolf A. Hofer has built reproductions of stately Windsor chairs for more than thirty-five years. 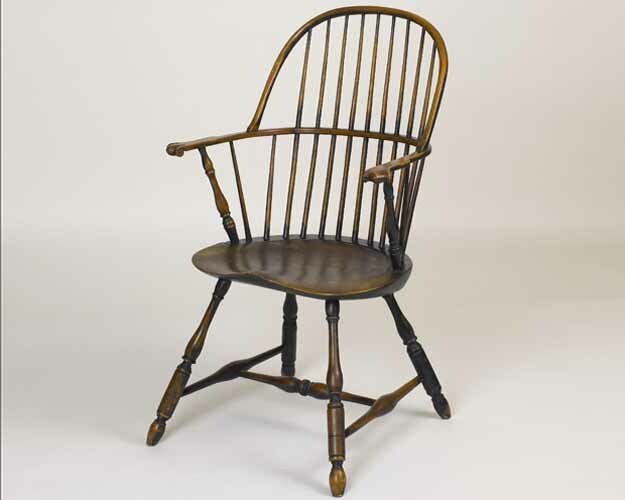 Although craftsmen made many styles of Windsors in the 18th and 19th Centuries, those Hofer chooses for reproduction are characteristically graceful, comfortable, and historically accurate. 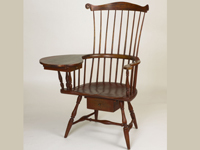 He has researched his gracefully proportioned chairs for historical accuracy at Winterthur Museum and other reliable sources, resulting in suitable accompaniments to antique collections as well as for home and office furnishings and unique gifts. 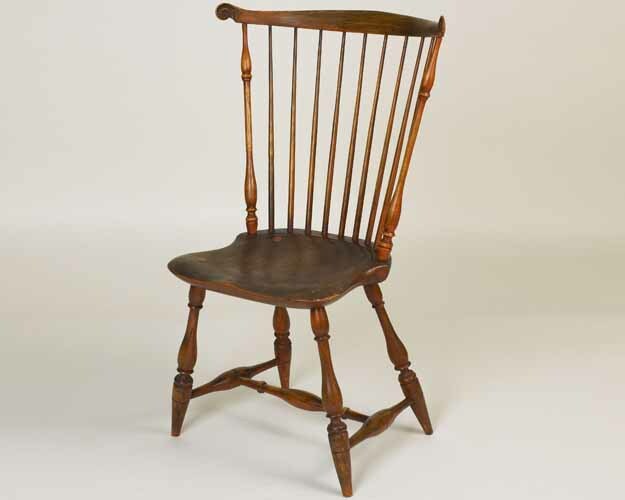 Working in southeastern Pennsylvania, Hofer takes advantage of the local availability of historically correct maple for the hand-turned legs and stretchers, the 19-inch-wide and full 2-inch-thick tulip poplar planks that are “saddled” or carved by hand into one-piece seats, and the tough and resilient hickory that is hand-turned into spindles and steam-bent for arms and crests. 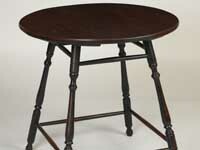 He secures each chair with walnut wedges, hickory pegs, and glue. There is no metal in his chairs. 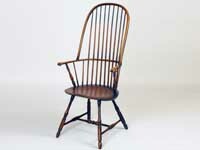 Working with a variety of hand tools and machinery, Hofer uses the construction techniques that date back to the 18th- and 19th-Century chairmakers. 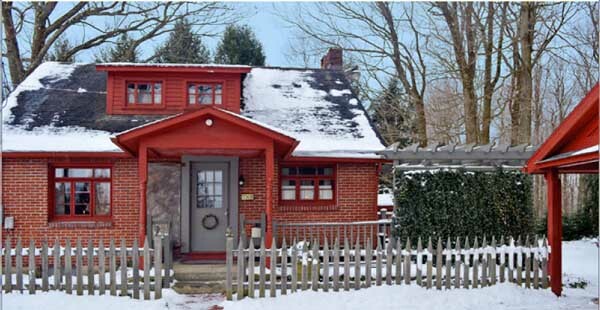 Hofer previously worked in sales and learned woodworking from an elderly German cabinetmaker over a number of years in order to restore antique furniture. 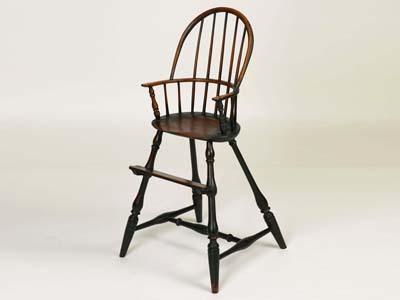 The research and restoration of antique furniture and chairs gave him the opportunity to study the construction techniques and wood selection of the early craftsmen. 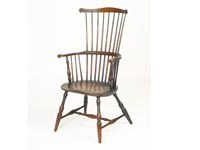 Encouraged to build Windsors by his wife and fellow woodworkers, he sought out a chairmaker with 40 years of experience, who provided a pattern for the first chair and a wealth of knowledge. 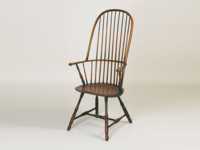 When not researching or building Windsor chairs, Hofer can be found fly-fishing for trout and Atlantic salmon. For more than 50 years, Hofer has fished the waters of Pennsylvania, New York, Virginia, Montana, Alaska, New Brunswick and Newfoundland in Canada, and the North and South Islands of New Zealand—with varying degrees of success. 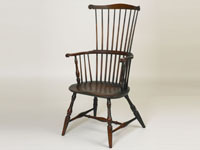 Hofer’s chairs can be found in collections from Canada to Florida and Maine to California, in addition to England. In 1999 he was invited to build a miniature Windsor for the White House Blue Room Christmas Tree, and his miniature writing armchair was pictured in the brochure distributed to White House visitors. He has been invited to participate in shows organized by Winterthur Museum, Brandywine River Museum, Mercer Museum, Pennsylvania State Museum, and Hay Creek Historical Society, in addition to juried invitational craft shows throughout southeast Pennsylvania, Delaware, Virginia, and, Massachusetts. 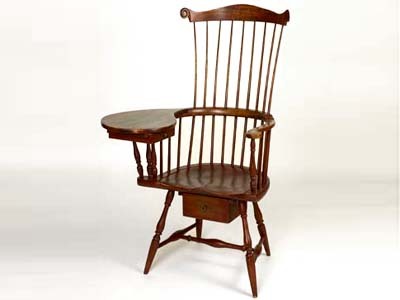 Hofer’s chairs have appeared in articles and on the cover of Early American Life and in multiple articles in Colonial Homes. 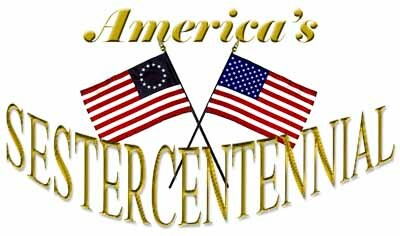 Hofer’s craftsmanship has been recognized in the Early American Life Directory of Traditional American Crafts for more than 15 years. He has provided chairs for judicial chambers and as retirement gifts for bank executives in addition to other businesses and individuals. The chairs are custom produced by Hofer alone, singly or in sets, in authentic colors and stains.